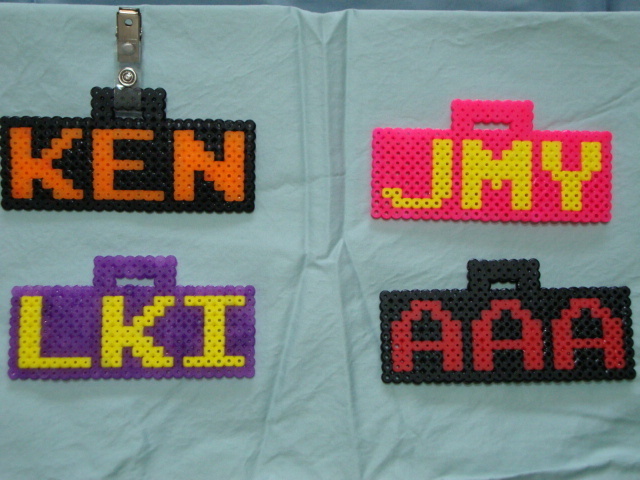 These are High Score Sprite badges, which I have created using Perler Beads (melted plastic beads). Here are several different badges, personalized for different users. You have your choise of up to 3 letters and/or numbers. Even though red and black are the most common colors for high scores, these can be customized to colors you want (subject to availability). I am selling these badges for wear at this year's Megaplex: Retro Arcade! $5 for each custom badge. This is available for preorder, which will be delivered to Megaplex. If you are not able to attend, add $2, and I'll mail it to you in the US. Payments by Paypal is most prefered.